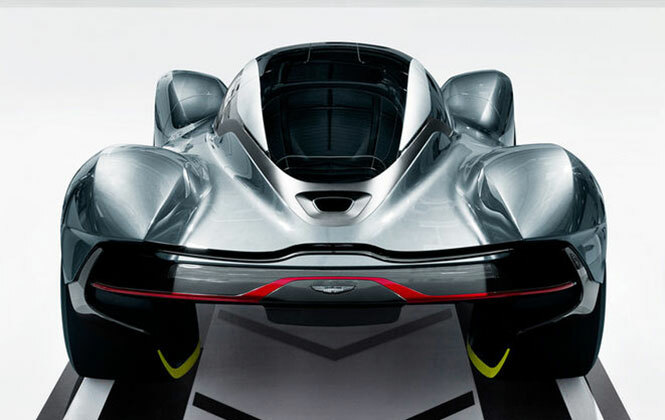 Last summer, Aston Martin took the curtains off from the concept version of its ground breaking hypercar, named AM-RB 001. Developed in collaboration with Red Bull Formula 1 racing team, the beast was revealed with very few details in terms of powertrain, however, the engine was reported to be displaced between 6.0L to 7.0L unit. And here the beast is with its complete mechanical specs. 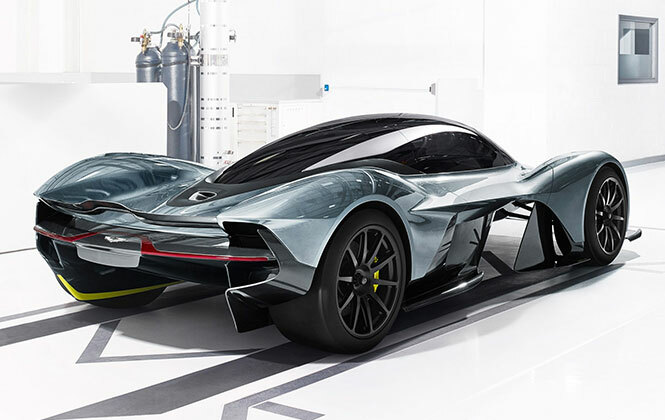 The Aston Martin AM-RB 001 will breathe via a 6.5-litre V12 engine, designed by Cosworth, a high-performance engineering firm known worldwide for designing engine and electronics for automotive industries. Further, this will also come up with an electric motor, which will be supplied by Rimac, a renowned Croatian auto manufacturer producing high-performance electric cars. Power figures haven’t been disclosed yet, but as the automaker earlier confirms, the engine has 1:1 power to weight ratio. That means the overall power produced by the engine will be equal to the total weight of the car. Total kerb weight for this carbon-fibre intensive car is expected to be less than one tonne, therefore, power output could be near to the 1000 hp. A seven-speed paddle shift gearbox built by Ricardo Engineering will be mated to the engine for transmitting this whole power to the ground. Of course, this huge power will need better braking facilities and hence these will be handled by Alcon and Surface Transforms calipers and carbon discs. Also, engine control unit (ECU), traction control and electronic stability programme are there, sourced from Bosch. The list of features also includes carbon-fiber tub which will comes from Multimatic, a Canadian firm building awesome automotive components. The company also worked with Aston Martin for One-77 and Vulcan. Furthermore, Aston Martin also confirms the car’s LED headlights and tail-lights, which will be brought from Wipac, a British lighting manufacturer. 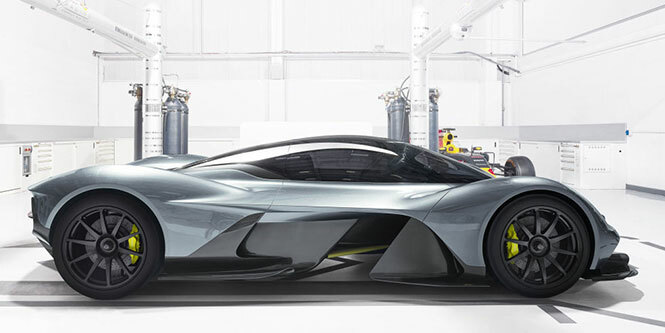 The AM-RB 001 will reportedly be built at the company’s Gaydon-based facility, constructed for the Aston Martin’s hypercar, One-77. Limited to merely 150 units plus 25 track-focused units, the car will possibly available later in 2018 and deliveries will commence in 2019. Also, 2017 Geneva Motor Show is all set to be kicked off on March 9. 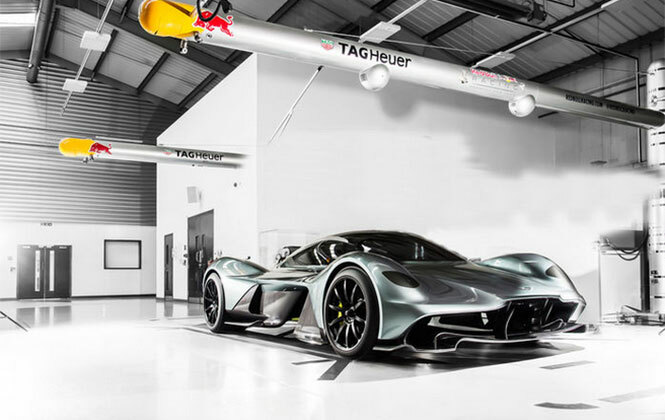 And Aston Martin has geared up to thrill the audience at there with this AM-RB 001 hypercar which will reportedly come along with Vanquish S and the all-new DB11.